What companies come to mind when you hear about autonomous robots? Tesla? Google? Well, there's another company coming out with some pretty fantastic tech in that area: Rolls-Royce. They have teamed up with Harvard University to develop robots modeled after cockroaches for repair. What use would a cockroach-sized robot have for an automotive manufacturer, you may ask? They are planning on using them for engine repair in airplanes, but that could just be the start of it. People have been dreaming of the day when autonomous robots would beak their way into the everyday bustle of life. From housekeepers to surgeons, robots could be used in any way we want to make things more efficient and to take care of the monotony of everyday tasks. These roach-bots' strength comes right from their size. Right now, when a repair or inspection needs to be made to an aircraft engine, the engine has to be removed from the plane. After removing the engine from the plane, they have to disassemble the piece and then inspect everything. Doing it conventionally, right now, could take a minimum of 5 hours to carry out the task. If you remove the need to take everything apart and had enough of these roach-bots, then maybe these bots could accomplish the task of assessing and locating the problem in 5 minutes. Saving those kinds of manhours means they could complete more repairs on more machines in less time. The current prototypes Rolls-Royce and Harvard have been working on training are still a bit too large for the goals they have in mind, but with science, it's only a matter of time until we overcome this hurdle and are able to minimize these little "insect-oids" to the perfect size. They hope to get them down to 15mm. Of course, the next step is actually carrying out the repairs. They are planning to get a level of sophistication baked into these bots which would allow them to actually do the repairs after assessing the problem. There are still certain types of repairs things of that size wouldn't be able to carry out, but they could still do the legwork of finding the problem so that humans could devote all of their time to the actual repair aspect. 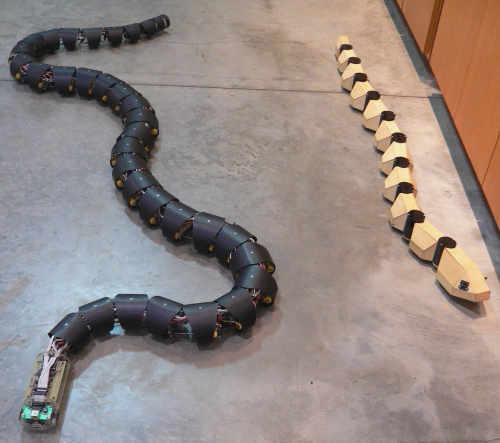 Another species being added to the artificial ecosystem is robotic snakes. They could act like an endoscope (a long tube with the camera on the end of it) to traverse through the small, intricate workings of the engine. Then, like a trojan horse, they could deliver a payload of robotic cockroaches to work their magic. Getting the roach-bots to a proper location via the snake would save time and make things convenient because it would probably take a little while for a 15mm robot to make its way through a giant plane. Repairs for airplanes aren't the only thing we're using biomimicry for. More often than not, we turn to nature for inspiration in our mechanical designs because, why reinvent the wheel? Another clever way we are tapping into nature's genius is with a robo-sloth. 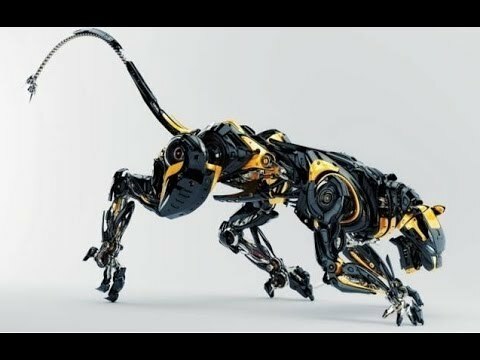 How could one of the slowest moving creatures on earth assist us in robot form? By guarding our crops. Researchers at the Gerogia Institute of Technology are using this mild-mannered tree dweller for inspiration when trying to monitor their crops. The bot could hang from wires and other locations to keep an eye on how healthy the plants are. They chose this as the perfect solution between a wheeled design and flying design. Something with wheels could easily get stuck in the dirt or run over the crops. Something that's flying would only be able to go for about 5 minutes before having to recharge again. The sloth-bot would be able to be energy efficient by staying in place when not in use, and traversing overhead wires when it needs to make its rounds. Many agricultural settings already have wires traversing over their crops, so it would be easy to install these robots into existing locations without much effort. We are on the precipice of a new era of robotics. Our technology is starting to catch up to the science dreams of yesteryear. 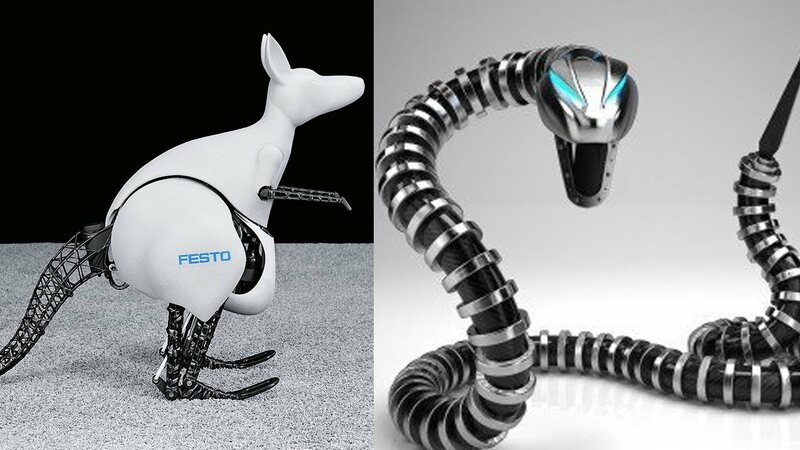 We once had to turn to science fiction and cartoons to satiate our technolust, but now we can go down to the closest Best Buy and pick up a miniature robotic dog or autonomous vacuum cleaner. Soon, these complex artificial constructs will be just another tool in our box of toys. We'll be coming home to perpetually cleaned houses and well-kempt yards & gardens. Our robots will be cleaning and gardening for us nonstop, allowing us to focus more on of our time on intellectual pursuits and discoveries instead of wearing ourselves down with regular chores and tasks. We will have much more time to think and develop with our robo-companions doing the heavy lifting for us. Imagine never having to do chores again, and finally being able to get around to writing that novel, putting that idea that's been incubating in your mind onto paper finally, or just learning that instrument you always wanted to play. Now that you don't have to worry about the mundane, time is on your side.